Best ramen in town, they say. 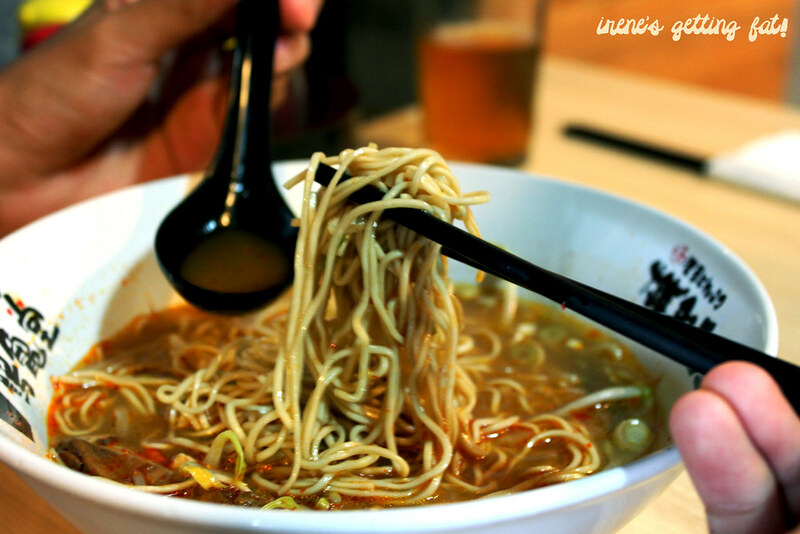 Just because Jakarta is hot and humid, it doesn't mean that the word 'ramen' doesn't send a delicious tingle through my spine everytime I hear it. Tsurukamedou is one that has been talked about quite a lot, and since I heard and saw numerous good and such positive reviews about it, especially with the tag line of 'the best ramen in town', it went straight to my to-go list. Now that I'm around, I couldn't postpone my visit any longer. The name itself means 'the hall of crane (tsuru) and tortoise (kame)', paying tribute to the two respected animals in Japan and their good spirit regarding to ancestors. The minimalist place is slightly smaller that I thought it would be, but it has welcoming and comforting vibe; it doesn't intimidate and it takes no effort to feel at ease here. 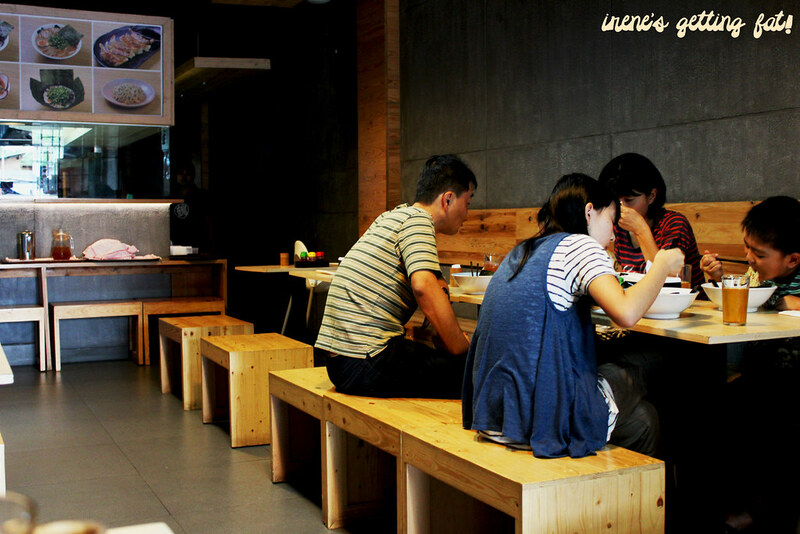 The wooden tables and chairs are arranged neatly, producing adequate space to breathe. Interesting view is provided by the open kitchen on the further side of the place, where the chefs flick their wands to create a satisfying bowl of hearty ramen. Talking about the chef, they have a Japanese chef running the kitchen, guaranteeing an authentic Japanese, or Hakata-style to be exact, ramen every single time. The menu is simple and straight forward. 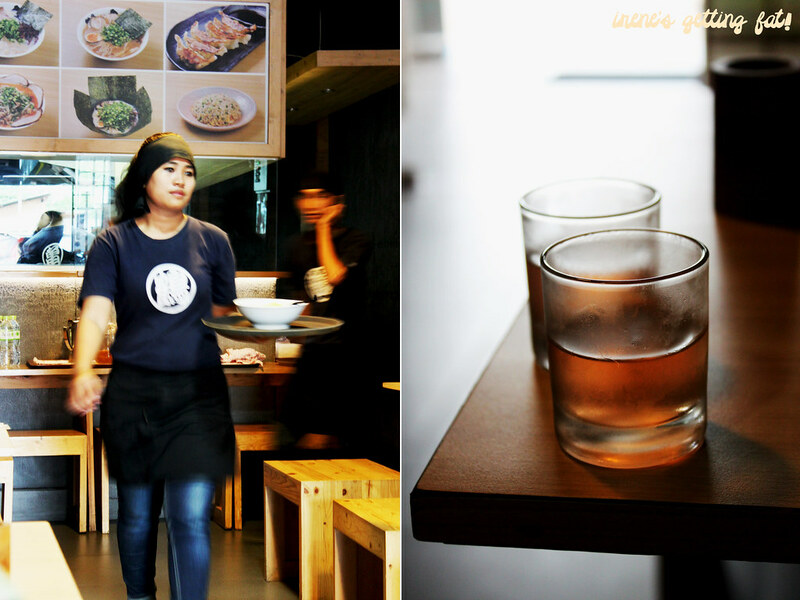 Really, don't expect fusion ramen or ramen with a touch of Indonesian here. You come here for a side dish and a great bowl of ramen, and that's the end of it. The side dishes and the fried rice aren't to replace your ramen, they're just there to make your day fuller. I am not complaining. One spectacular specialty dish is better for me than many mediocre options to choose from. Lunch that day was started by the nicely grilled buta (pork) gyoza that had crispy bottom and juicy, flavorsome minced pork and some vegetables inside. 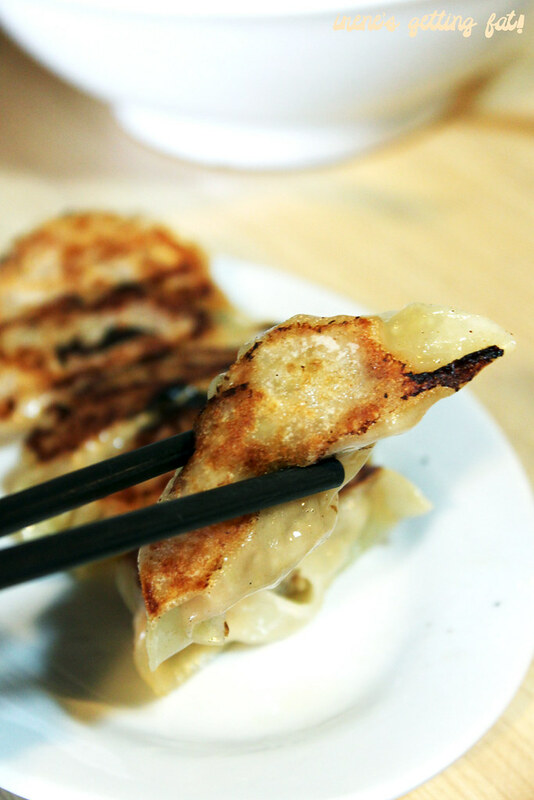 The gyoza comes in three different types of meat: buta (pork), tori (chicken), and ebi (prawn). But really, we were here to sip some thick broth and bouncy strands of ramen noodles, right? 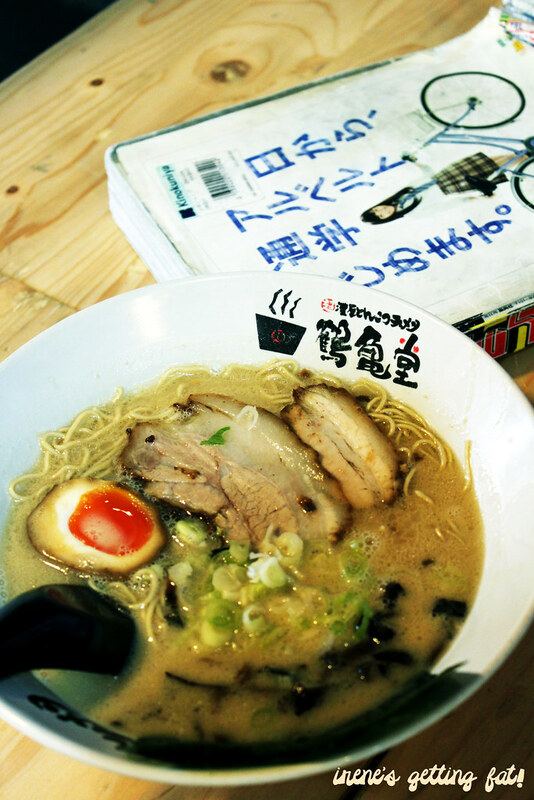 I ordered my anthem dish everytime I go to a new ramen joint: tonkotsu ramen. In a nutshell, yes, it was quite amazing. The broth was superb. It was thick enough to make strong and lasting impression in your mouth, but not too strong to make your tongue all oily and numb to feel anything else. 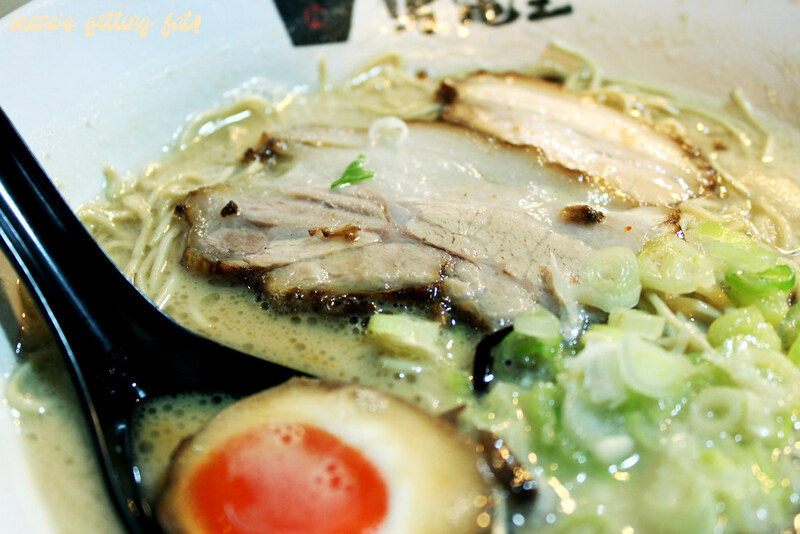 I personally think that the broth here is less heavy and oily than the others, but still so very delicious. The straight noodles, typical noodles for Hakata-style ramen, were cooked perfectly to retain that bouncy feel but not hard to bite. The egg (tamago) was simply to die for. Seasoned very well with oozy and creamy center; I have nothing to regret in life. Of course, I saved the pork belly (chasu) for the last. I let it soak more of the intense soup and when I finally took it gently with my chopsticks, it yielded its fatty and tender goodness easily without any resistance. It was thick and full or flavour on its own, what's not to love? 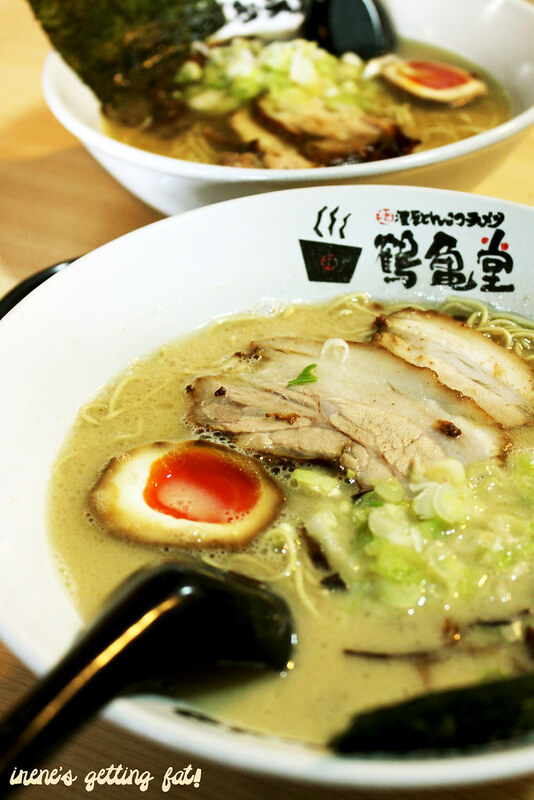 The other bowls of ramen ordered that day were based from lovely juices of chicken. Tori ramen had the same awesome noodles and egg, but the broth was much lighter and somehow cleaner. Still very mouthwatering, nonetheless. The slices of supple and juicy chicken stole the highlight of the whole bowl. Tori shishen ramen was pretty much the same with the immediate previous, only with some spicy touches in the soup. It wasn't too spicy but my tongue still protested about the heat on my first sip. Everything else was good and well, actually more than good and well, in that bowl. 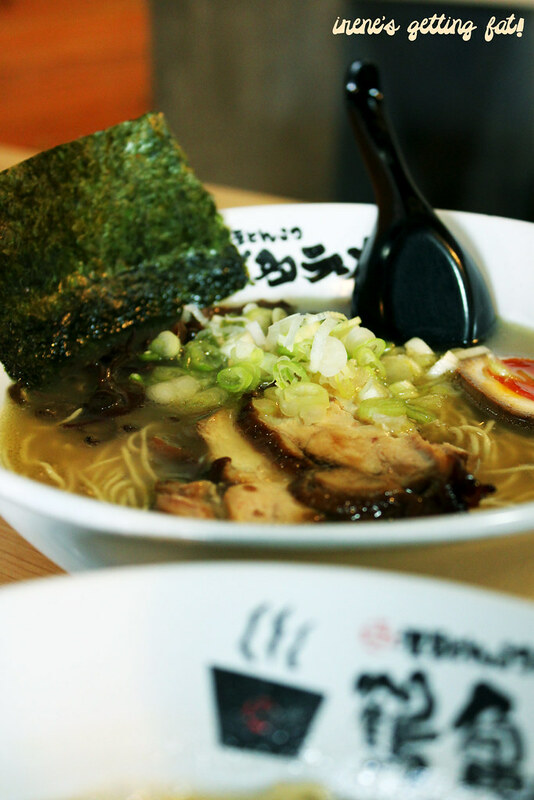 You may notice the absence of nori sheet and mushroom in that tori shishen ramen. 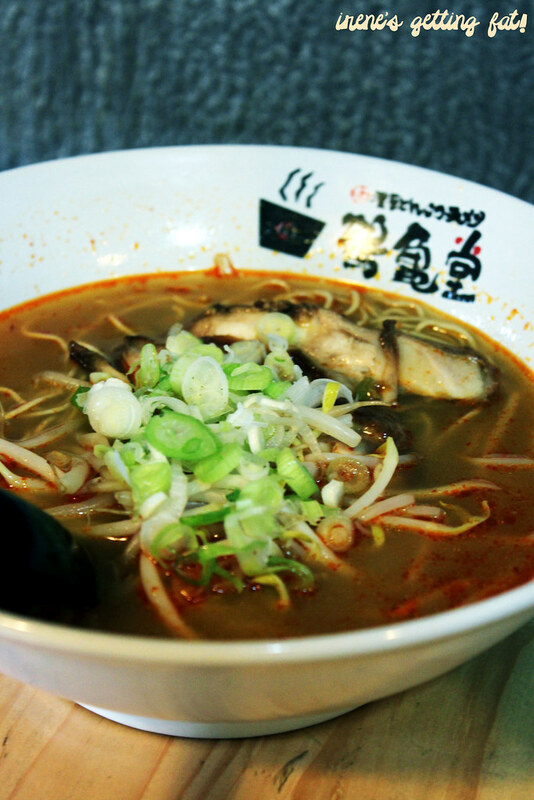 Apparently that is how they serve spicy ramen in Japan, and Tsurukamedou is all about authentic ways and flavours. They don't even provide chopped chilli and garlic on the table (you can ask if you need it) like the other joints do. They don't always depend on the market demand of Jakarta, they make their own market, with high quality ingredients and great passion in their food as the foundation. Service was also friendly and quick. There is always room for improvement, but I believe they're already on the right track. So. 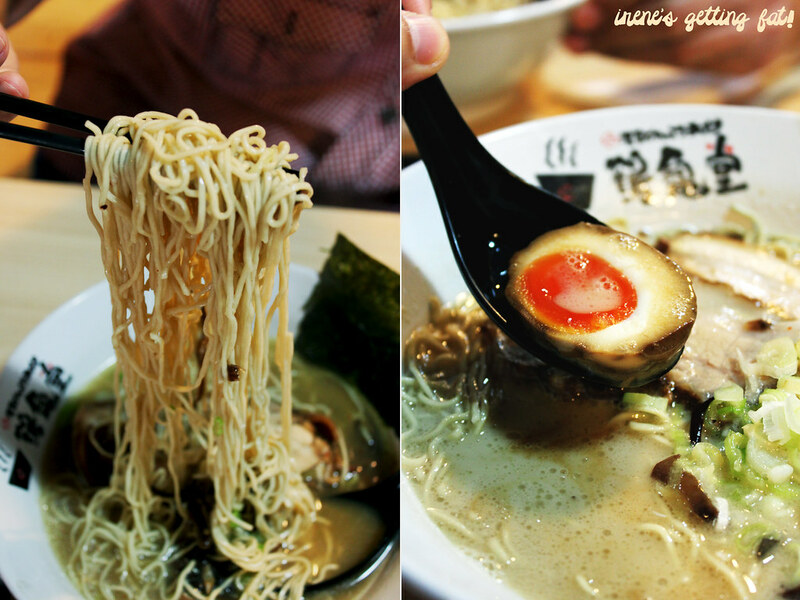 It's your call to agree whether or not this is the best ramen in Jakarta. To me, it is a very strong contender to its rival, indeed. 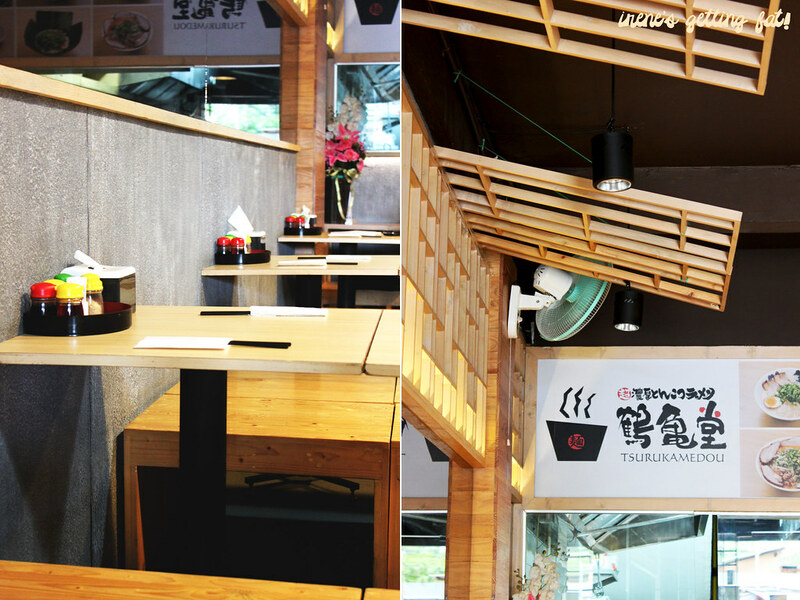 Superb bowls of ramen, good service, really nice and comforting ambiance, price is relatively high but still within the standard. Looks like everyone's talking the ramen talk now. It's very cold in Sydney at the moment, so this post definitely warms! Agreed! We need more ramen posts.